Hour upon hour I spent collecting those little black millipede things, at least I think that’s what they’re called? I must have had a hundred if I’d had one! I’m not sure why I wanted to collect so many or what I was supposed to do with them but, I was fascinated! Let one run over your hand and you’ll feel the faintest of tickles as the body winds perfectly and the legs, with precision co-ordination, tippy-tap their platform like the fastest of pianists! 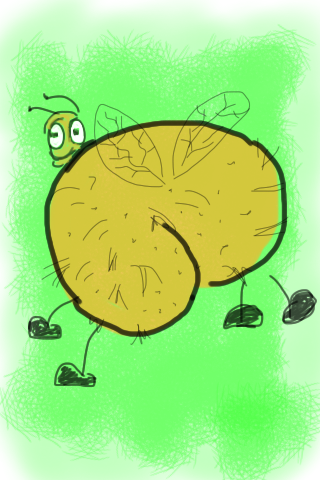 I don’t suppose insects like this are self-aware? I’m not sure they have an inkling of what they are or what they’re supposed to be doing – am I right? Is it just instinct? Any budding Entomologists care to enlighten me? I’m certainly no insect expert and wouldn’t know a dung beetle from a bot fly! In class we had really old and worn desks. These desks still had the little holes where ink wells once sat though long removed – had we been allowed real ink there would have been complete inky chaos; it was bad enough being allowed a biro as often they’d be chewed and we’d all go home from school with at least one corner of our mouths and cheeks stained blue – not to mention our fingers! 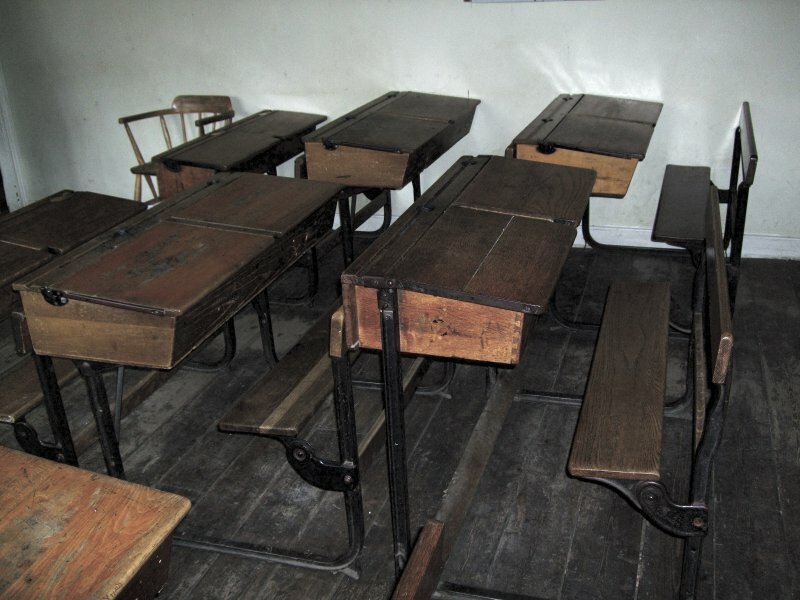 The desks had a lid and inside, enough room to store our text and exercise books – as well as the odd sweetie, or perhaps small toy car, that shouldn’t have been there. I was quite obsessive about my desk to the point where everything in there was precisely positioned and kept tidy! Anyone from my office in present times will understand this as anything making its way onto my desk that shouldn’t be there is removed with serious haste! The items in my school desk were arranged in such a way as would enable me to build a sort of living space for anything I cared to pretend lived there – anything from toy soldiers to, well, millipedes and such like… Now and then, I’d sneak a look under the lid and watch my little friends scurry about – it wasn’t uncommon for me to release anything I’d collected into the desk space and observe. 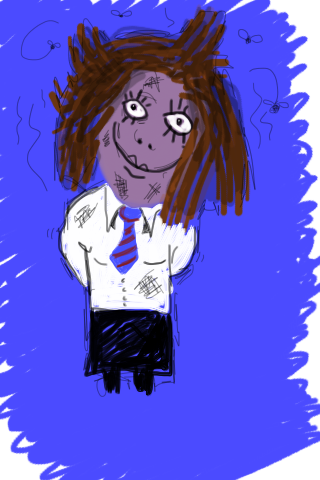 There was a girl in our junior school class that used to sit next to me and was more fondly known as ‘Skunk’! Confession time… Skunk was incredibly unkempt! And she came in for a lot of ribbing – her clothes were tatty and old, they smelled. Her hair was like a mass of dread-lock that had a mind of its own, it had struggled itself free from the binding and allowed itself to be dragged through a privet hedge! And it smelled… After leaving that school at the wise old age of eleven, Skunk was certainly by me, never to be seen or heard of again. It’s funny though because despite her unappealing qualities, I think of her often and wonder what became of her? I cannot, however hard I try, recall her real name – at that age it was probably acceptable to us to assume that she didn’t have one. We all had pet names and there very few real names I remember now… Their tags, however, unearth some wonderful memories – and maybe one or two not so wonderful. Skunk was quite a lively character and for all the ribbing she’d take, she could also give as good too! 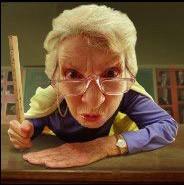 And she was often in the habit of aggravating me – I suppose this was because of our proximity in class… One particular time she niggled and niggled me to distraction! So when I found an opportunity, just as milk time (remember that??) 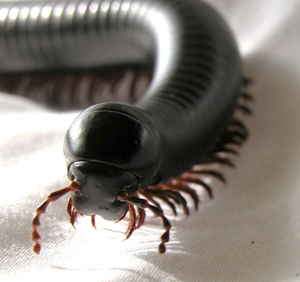 commenced, I took a handful of millipedes from the tin and jammed my hand into the mass of mattress on her head! Releasing my grip immediately! The class by this point had already grown excitable as the opportunity afforded us by our teacher to relax for a few minutes during milk, meant that for at least twenty seconds her shouts of protest and flailing fists – in my direction – weren’t noticed! As soon as it was apparent that Skunk had a tribe of insects crawling about her head and shoulders, everyone scattered, and through gritted teeth, and by this time, teary eyes, Skunk made the truth known to our teacher! At once, everyone was ordered to sit down while I was unceremoniously man-handled out of the classroom and into the headmasters office which sat right next door. I was held firmly by the back of my jumper and dragged with only the tips of the toes of my shoes treading the floor! Trying to run to keep up but no firm steps making contact – I could have almost been riding an imaginary bike! After being shouted at, at close range and made to explain why I had performed this hideous act, I was stood up rigid while I received two hard taps to the back of the hands with a large stainless-steel spoon.